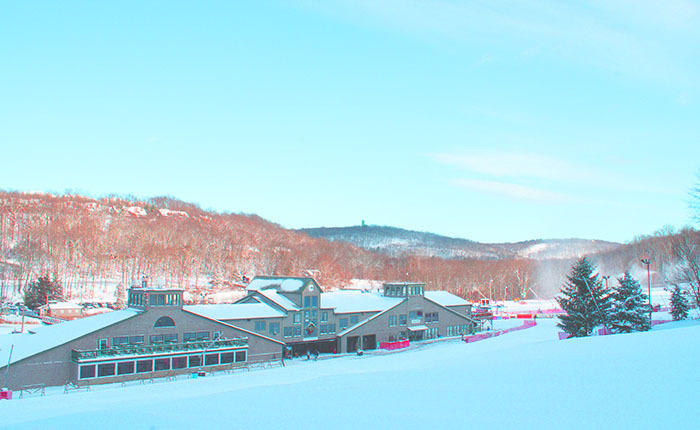 Shawnee Mountain Ski Area is based on the Shawnee Mountain, on the western side of the Delaware Water Gap National Recreation Area and it is part of the Pocono Mountains. It is a popular winter vacation spot that offers over twenty slopes for skiing and snowboarding, and a high-speed quad lift. The mountain elevates only to 1,350 feet. It is especially good for beginners and children, since the resort offers skiing lessons and a gear rental. The area is well-maintained and uses artificial snow to compensate for the lack of natural snowfalls and to make sure the slopes are always smooth, and ready for a ride. 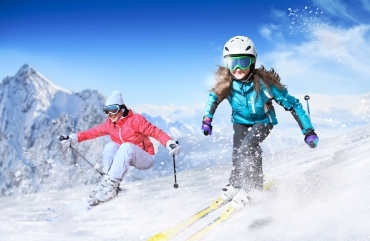 You can also get lessons in skiing here and try out snow tubing. The ski area is very spacious and consists of several terrain parks, separated into skiing and snow tubing areas for safety measures. Different events here are held throughout the year, even in the warmer months. If you check the resort’s official website, it gives a full schedule of the events to come. You can buy tickets online or on the spot. Right beside the slopes is a ski rental with all the gear you need for a ride, which is particularly great if you like to pack light. There is a Lodge at the foothills, so you can warm up and have a meal after a fun ride. You can also bring your own food and eat here since the prices can get too high, but the hot chocolate is always popular with visitors. There are a couple of hotels and a camping grounds very close to the Ski Area, but people usually come here from nearby towns and cities in the morning and drive back in the evening. The parking lot is huge and fits enough cars, so it is never too busy. If you are coming here from afar and want to spend more than a day going back to the ski area, Shawnee on Delaware is a great option for a mini-vacation. The township is located on Delaware River, right beside the Worthington State Forest, and offers water-related activities, such as canoe rentals and river trips. It has a theater, called Shawnee Playhouse, where you can see drama, comedy and children’s plays, as well as musicals and special events. The theater is small, so you can see the acts from any seat, and the performances are well-practiced. On the other side of the forest, there is the Lakota Wolf Preserve, a wildlife refuge where you can see how wolf packs, bobcats and foxes interact within their groups, without altering their natural habitats. The place also offers educational tours. 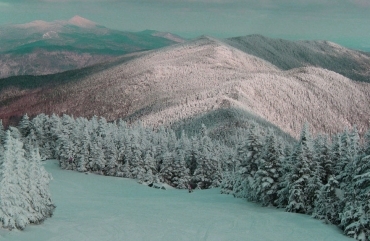 You can also go on a ski holiday in Hunter Mountain, Windham Mountain, Mountain Creek. Feeling romantic and adventurous? Up for an active weekend? 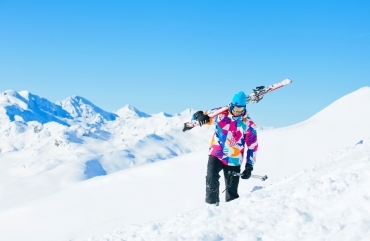 Visit the White Mountains with "Comfort SKI" bus tours. The Green Mountains is a mountain range that stretches from South-West and up to North of Vermont state, right towards Canadian borders. Windham is a mountain range just two hours away from New York city and mountains are usually associated with an adventure. 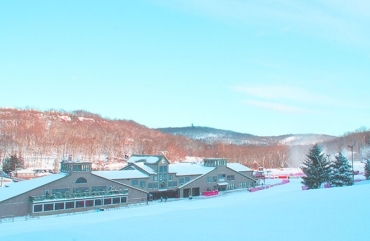 Don't miss the latest happenings out of Hunter Mountain, including new lifts, terrain expansions, weather, photo galleries, infographics and current events skiers and mountain travelers should know about. 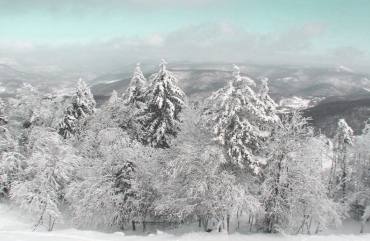 Stay up-to-date on Hunter Mountain news and events by clicking on articles from the list below or page through to see coverage from the entire ski season. 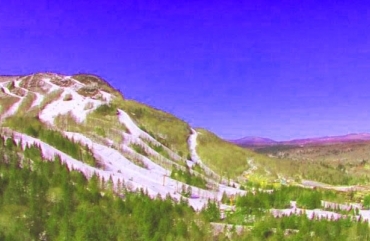 Shawnee Mountain Ski Area is based on the Shawnee Mountain, on the western side of the Delaware Water Gap National Recreation Area and it is part of the Pocono Mountains.